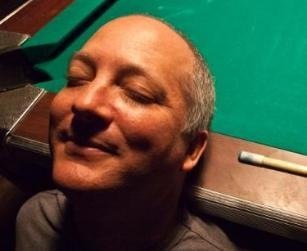 In 1983, Ken Nahan graduated with honors and received his Bachelor of Fine Arts degree from Tulane University. He also traveled to Europe where he worked under the guidance of his mentor and friend, Max Papart. Nahan has studied various printmaking techniques, creating lithographs at Atelier Grapholith and with Pierre Chave, etchings at Atelier Morsang, and silkscreens with master screenprinter Gary Lichtenstein. Most recently, he has developed and employed a new transfer rubbing technique in his work. Nahan has exhibited throughout the U.S. and in Europe. He currently lives and works in New Orleans, LA. 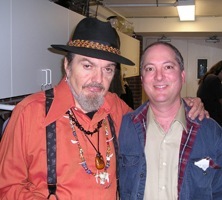 Ridgefield Guild of Artists, "The Festive Home"
Ken with Dr. John backstage at the Ridgefield Playhouse in Ridgefield, CT, after presenting him with one of his "Fleur de New Orleans" silkscreens.